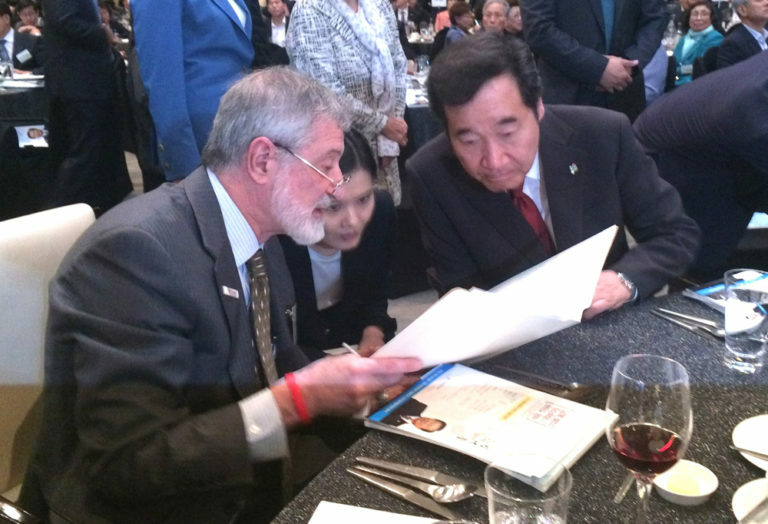 On June 14, 2018 PSR Board member Ira Helfand, MD met with South Korean Prime Minister Lee Nak-yeon in Seoul, urging South Korea to sign and ratify the Treaty on the Prohibition of Nuclear Weapons. The main nuclear weapons threat on earth is increasing tension between the United States and Russia over Syria, Ukraine, Crimea and other issues. Not far behind is the ongoing dispute between India and Pakistan over Kashmir. Either conflict, if escalated to nuclear war, could end life as we know it. So what the hell was the Hanoi Summit between Donald J. Trump and Kim Jong Un? We don’t know what preparations the North Korean dictator made, in fact we know little about his country except what we might read in books like Barbara Demick’s Nothing to Envy: Ordinary Lives in North Korea. He presumably prepared for the summit, and had a 60-hour train trip from Pyongyang, North Korea to Đồng Đăng, Vietnam, in case last minute changes and consultations were required. Kim traveled by rail for security considerations according to Associated Press. Couldn’t this have been discovered and vetted long before the actual, expensive in person meet up? Isn’t that why we have diplomats? Why elevate this meeting to a “summit” if we didn’t know the basis for an agreement beforehand? While Air Force One was enroute home, North Koreans disputed this characterization of the summit. Why cut the meeting short before agreeing what happened and would be said to the press? Seems like basic diplomacy is missing from this administration. What a bunch of knuckleheads. I’m not referring to the North Korean dictator and his staff. Why would the U.S. elevate this guy to this level of prominence on the world stage? Importantly, it was a staged distraction from Secretary of State Michael Pompeo and National Security Advisor John Bolton’s dismantling of the U.S. – Russia arms control protocol. There is other stuff going on the the country to be distracted from as well. The tail is wagging the dog. 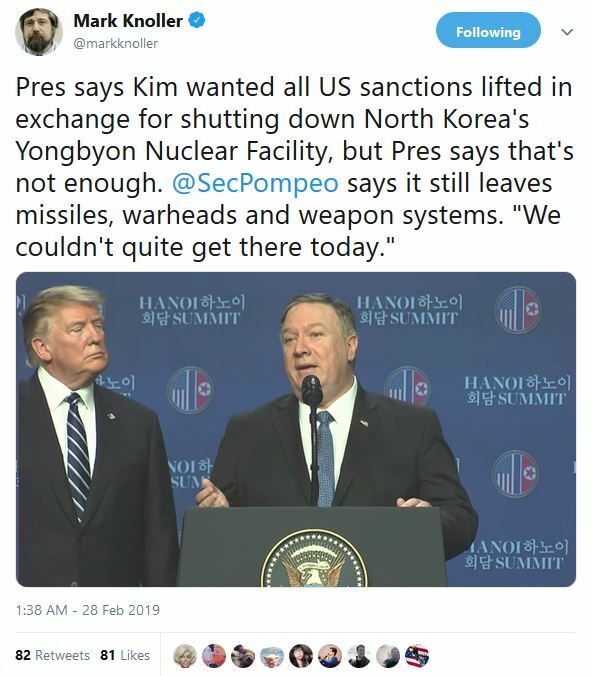 We don’t know but Kim must have been feeling good on the long trip home to Pyongyang after the president failed to find common ground for denuclearization of the Korean peninsula. We do know something about his green, bullet-proof train with yellow trim on the cars. His father is also said to have kept four female singers on the train when he traveled, referring to them as “lady conductors.” Will lady conductors sing karaoke for Kim Jong Un on the trip home? Since the U.S. president won’t hold him to account, there may be something for a dictator to celebrate.